Founded by Peter T. Pugliese m.d. a pioneer of cosmetic research, formulation and education in the USA since the 1970’s, Circadia is his own unique line of professional treatments and home care. The Circadia system is a coalition between medical science and beauty care, maintaining the highest standards possible for both therapist and client. Circadia is effectively decades of knowledge transfixed into a bottle. Dr Pugliese has designed and developed his home care regime with simplicity in mind, with years of knowledge of the most effective ingredients at pharmaceutical grade, clinically tested and privately manufactured to ensure the highest quality possible. A number of these formulations include his own special patented ingredients. SkinWorks Day Spa use CIRCADIA products only for all treatments. Perfect for sensitive skin, or skin that needs revitalising or hydrating. A facial to cleanse, nourish, detoxify and texturise. A face massage leaves your skin feeling bright clean visibly firmer, and glowing. (Ideal for mother of the Bride). The results are instant when combining fruit acids and Enzymes. They are used for the ultimate in lifting and toning. Ideal for that special occasion. A quick pick me up for the busy person, this will leave your skin fresh and glowing. To purify and rebalance the skin using botanicals to help decongest the skin leaving it clean and fresh. 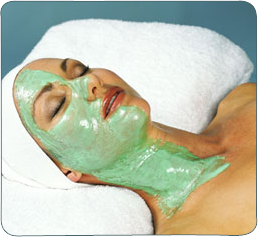 This is a specialised facial for oily and mild acne skin. A treatment that works on the skin to improve its own self cleaning and healing mechanism. Removing dead skin and bacteria to rebalance the skin. This will effectively detoxify the skin. It will flush through toxins, Reduce inflammation, increase oxygen blood flow regulate organelle in healthy cells. Facial for Black heads and Superficial congestion. This treatment will ingest dead cell material and debris from the surface of the skin. It will further release any toxic build up in the skin and will help improve skin function. Enzyme treatments are essential for a healthy skin. Excessive dead cell build up contributes to wrinkles, fine lines, uneven skin tone, brown spots, blemishes, sun damage and acne. Circadia Enzyme treatments tighten, tone and firm the skin with visible results from the very first treatment. Customised to suit all skin types. This enzyme deeply cleans & firm’s the skin. Enzyme’s have powerful antioxidant and Anti-Ageing properties and aid in collagen enhancement. This treatment is like taking your face to the Gym. This treatment can be used on any skin type; it produces outstanding results on Acne, Rosacea, Telangiectasia and Sun-damaged skin. It has antibacterial properties, increases skin function by stimulating fibroblast cell activity to produce more collagen and elastin. Its lightening and vaso-constricting capabilities give instant results for Rosacea. This treatment can be done in conjunction with Enzymes. A scientific breakthrough that enhances and restores the function of the skin to its youthful appearance, SWiCH™ gives the professional skin specialist a treatment that performs beyond the results achievable with non-surgical peels. Laboratory tested ultrasound procedures have shown that after approximately 6 SWiCH treatments the skin is firmer, smoother and embedded with new collagen and elastin growth. 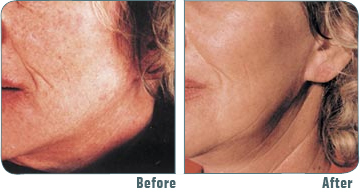 The normal treatment is a series of 4-6 treatments, one every 4 weeks, followed by a 3 month maintenance treatment. There is very little, if any, down time as the treatment may be performed all year round. A series of six enzymes masks is recommended for long lasting results. One a week for six weeks and backed up with home maintance will keep your skin firm and in good condition. You may talk to a therapist for more information on the enzyme treatments.